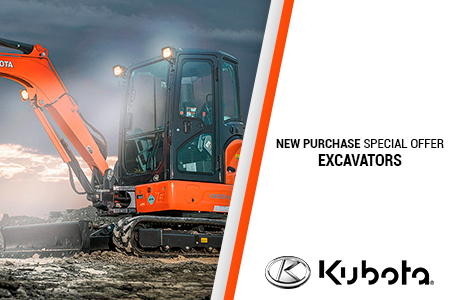 Clean-running Kubota Engine (Tier IV): Powerful and dependable, the U25S's diesel engine delivers superior horsepower and performance. It offers low noise and vibration levels, exceptional fuel efficiency, and complies with the EPA's 2013 Tier IV emissions regulations. Zero Tail Swing: Tough job got you in a corner? Put a U25S to work on it. 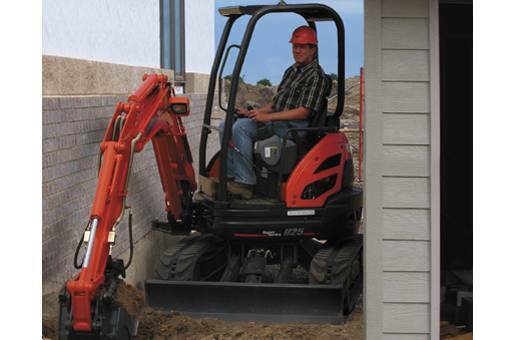 Zero-tail swing keeps the tail within the width of the tracks, so you can turn the house throughout its 360-degree turning radius without worrying about what is to the side or behind you. Zero-tail swing also ensures excellent balance, stability and fast operation, making the U25S ideal for jobs in congested urban areas. 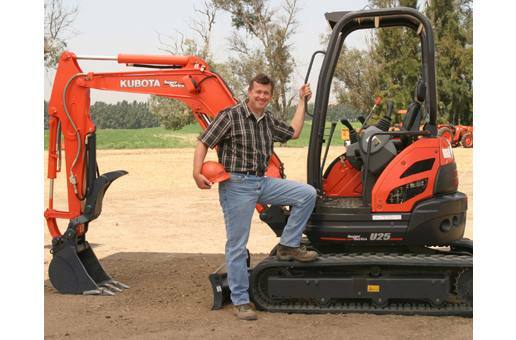 Digital Panel: Kubota's Intelligent Control System can help reduce downtime and repair fees by providing timely diagnostic readings and routine maintenance alerts. The large digital panel displays current working conditions, warning indicators, engine rpm and hour meter, fuel, temperature and oil levels. The panel not only lets you know when fuel is running low, but alerts you during refueling when the tank is nearly full. Strong Bucket Breakout Force: The U25S offers a powerful breakout force: 5,765 lbs with the dedicated bucket and quick coupler. 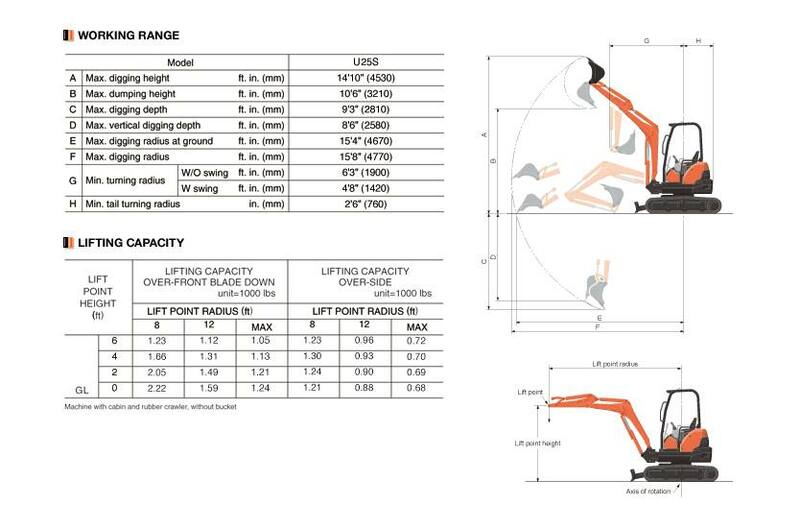 That's more than enough to keep the U25S working efficiently even under heavy loads on tough excavating jobs. Thumb Bracket and Relief Valve as Standard: The optional hydraulic thumb allows you to handle a variety of loading and digging jobs without stopping to change implements. It works with the bucket to pinch materials for loading and carrying. 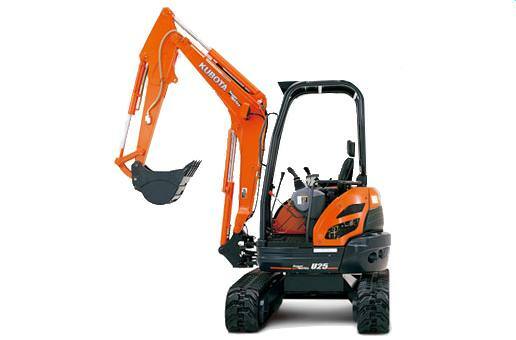 When no longer needed, it retracts to permit normal excavation. The U25S's factory-installed thumb bracket and relief valve significantly reduce the time needed to mount the hydraulic thumb. Left: 75 deg. ; Right: 55 deg.